Football players must return their helmets, shoulder pads, practice pants and game pants. Please make sure all equipment is clean and dry prior to returning. 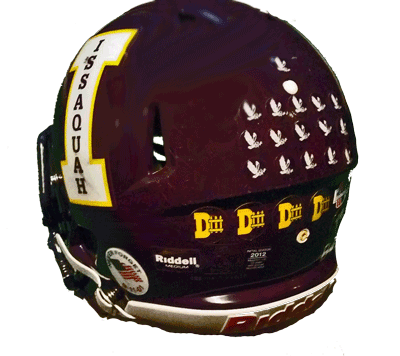 Also, if your coach gave your player helmet award stickers, they need to have those completely removed (use a hair dryer to make it easy). * Please help us keep the lines short by arriving during your assigned time. If you do have a schedule conflict, you may come to one of the other time slots listed above. If you are unable to appear in person on this date, you will need to have a teammate or one of your coaches return your equipment for you. This will be the only equipment return date.